Lynde Creek is a stream in the municipalities of Whitby and Scugog, Regional Municipality of Durham, in the Greater Toronto Area of Ontario, Canada. 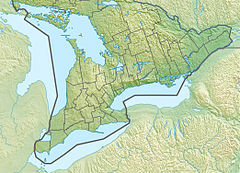 It is in the Great Lakes Basin, is a tributary of Lake Ontario, and is under the auspices of the Central Lake Ontario Conservation Authority. The creek begins on the Oak Ridges Moraine in geographic Reach Township in the municipality of Scugog, and flows south to its mouth in the southwest of the town of Whitby. Portions of the 132.19-square-kilometre (51.04 sq mi) watershed also extend into the town of Ajax, the city of Pickering and the municipality of Uxbridge. ^ "Lynde Creek". Geographical Names Data Base. Natural Resources Canada. Retrieved 2015-12-05. ^ a b "Lynde Creek Watershed Plan" (PDF). Central Lake Ontario Conservation Authority. May 2012. Retrieved 2015-12-05. ^ "Township of Reach" (JPG). 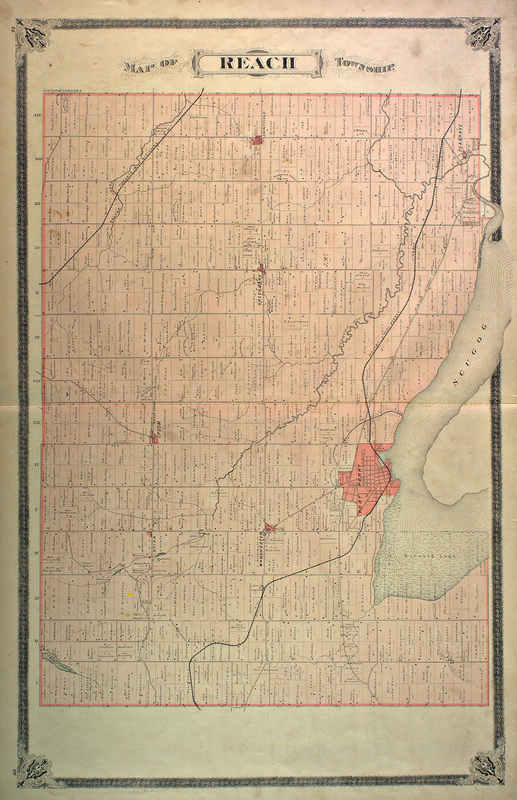 1880 Map of Ontario Counties - The Canadian County Atlas Digital Project. McGill University. Retrieved 2015-12-05. ^ "Land & Water Conservation". Central Lake Ontario Conservation Authority. Retrieved 2015-12-05. This page was last edited on 21 November 2018, at 04:42 (UTC).